Our members are hard-working, community-focused people shaping the future of Enosburg. 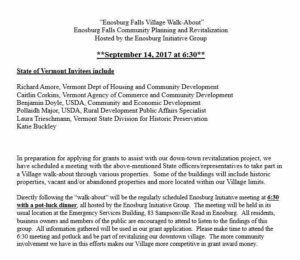 The Enosburg Business Association supports the many businesses, organizations, and events that enrich the town of Enosburg Falls, Vermont. We share events, meetings, photos, and important dates on social media. Join the community!